I have officially reached the stage in life where I need reading glasses, and I’m OK with it. Hey friends! I remember being in my twenties and brand new to a professional work environment, and making friends who were probably around the age I am now. A lot of them would wear reading glasses, some on chains around their necks, some perched at the tips of their noses, some on top of their heads. And for some reason, I thought they looked sophisticated and stylish. It’s funny how I have such a clear memory of this, and I wondered if I would one day need to wear reading glasses. Well, guess what? I have officially reached the stage of life where I am just like those women I worked with as a newbie in my profession. I remember when it started happening, I was in my early forties, and it started with not being able to read the small print on a pill bottle. And being someone who had 20/20 vision for my entire life, this was disturbing to me. I would hand the bottle off to my husband and he would have to tell me what it said. At first, I bought a magnifying glass to use to see fine print on things like those pesky pill bottles, and the print on the side of food boxes. And then one evening we were at a dinner with friends, and a friend handed me her phone to show me a photo, and I couldn’t see it clearly. And she handed me her reading glasses and told me to borrow them. I put a pair of reading glasses on my face for the first time in my life that evening, and my world exploded! Before that night, I really wasn’t even aware that these little magical things called readers existed! And we all had a good laugh that I had been carrying around a magnifying glass for months. Well, from there, it all slowly went downhill, to the point that I now cannot live without my reading glasses, and I have become one of those women sitting at work with my readers perched on the end of my nose, or alternately on top of my head if I don’t currently need them. And even after all of these years, I still think they look stylish and sophisticated, if you select wisely when purchasing a pair. And I am going to admit, I am that girl who has at least 5 different pairs of them stashed in various places, because ain’t nobody got time for searching for reading glasses all day. But I have a favorite pair. A pair that stands above all of the rest. And that is the pair I am sharing with you here today. 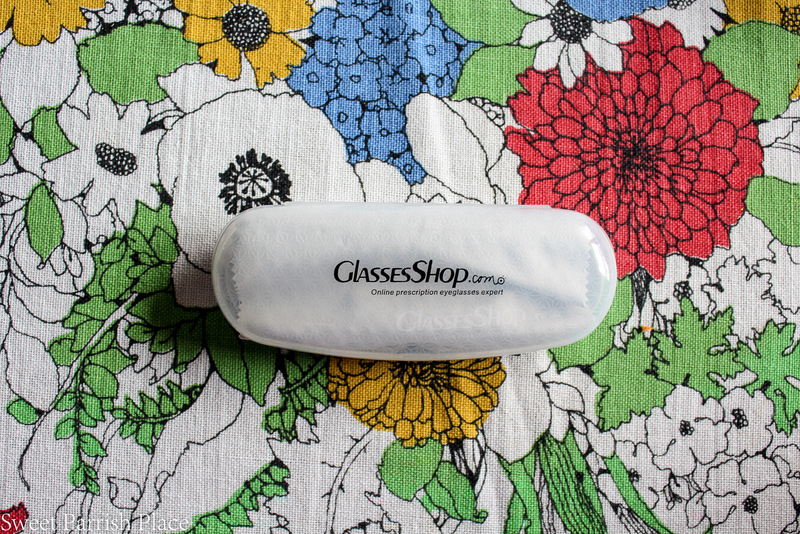 I ordered my new eye glasses online from Glassesshop.com, and they arrived packaged in the case you see above, with a nice little cleaning cloth inside. I love that the case is a hard shell so that I can throw it in my purse and I know they will be kept safe. And I just keep the little cloth right inside the case so that I can polish them whenever I need to. 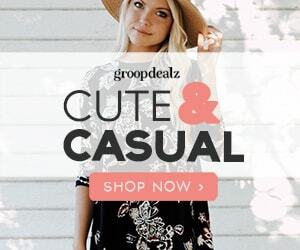 GlassesShop.com has a great selection of eye glasses, prescription sunglasses, and glasses frames. They have such a great collection that I had a difficult time reaching a decision, but I finally decided on the baton wayfarer in floral, but these glasses frames also come in black and tortoise. 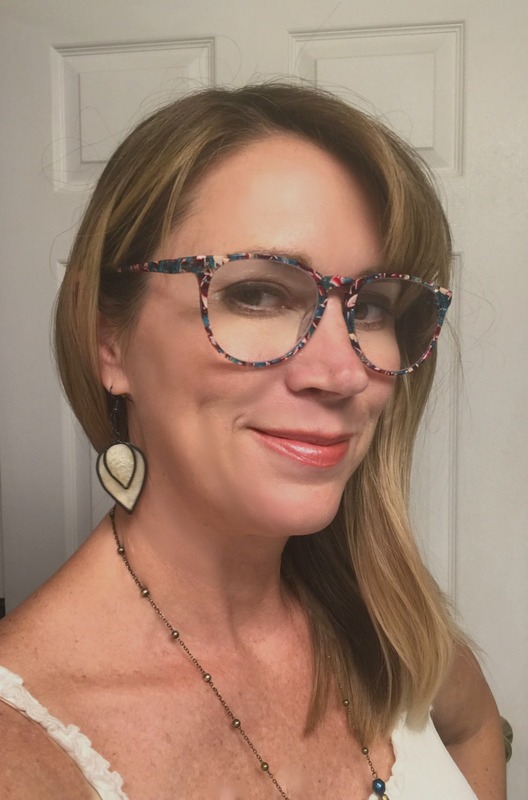 I like to add a little personality in my reading glasses, so I wanted something fun, and that is exactly what I received! 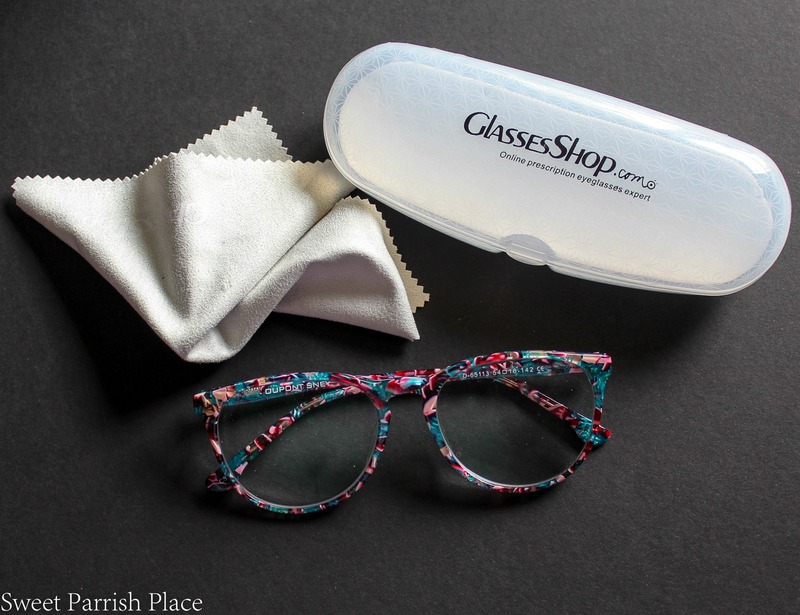 The glasses shop has been kind enough to offer a special discount code for my readers, which is 50% off for all eye glasses and sunglasses with free lenses only, with the exception of sales frames. So if you are in the market for a pair of either, I highly recommend them! These readers are better than the average reading glasses I usually pick up at Marshalls. And the difference is that the lenses were made especially for me using my PD (pupillary distance), that I got by calling my optometrist. And it is a noticeable difference in my vision when I wear them as opposed to all of my other eye glasses. 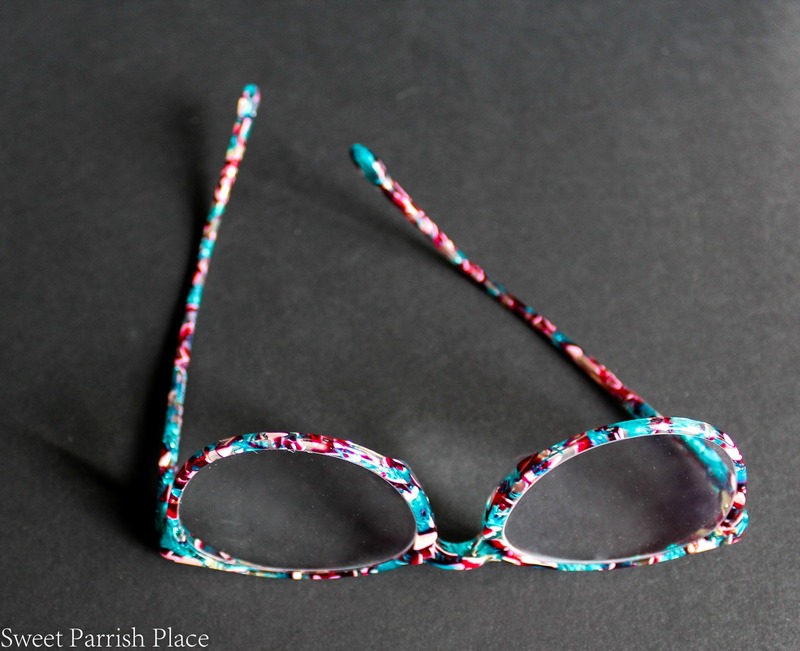 My new reading glasses make me smile with the pink and the blue and the floral pattern! 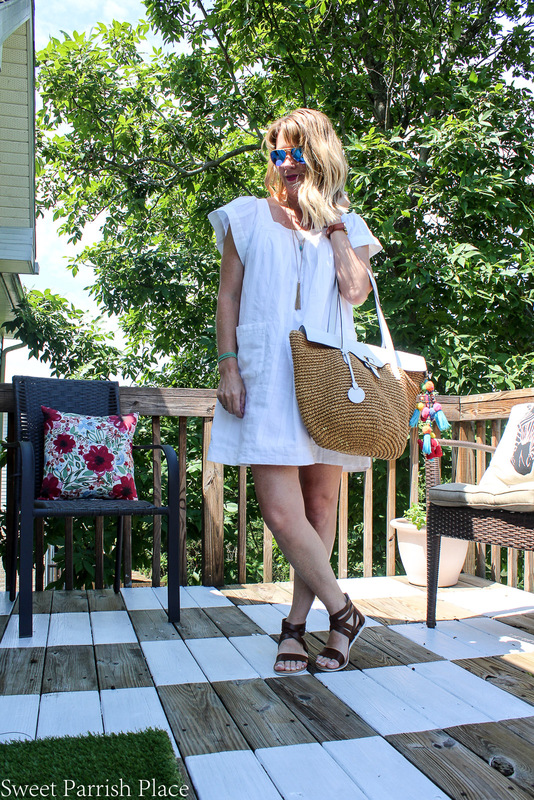 Not only are they stylish, but they make my life so much easier, especially when I am looking at my phone, which we all probably do way too often. I go back to work in less than a week, so this particular pair is going to go right along with me! At the age of 23, I have to use reading glasses but I used it during my work only. Afterwards, I put it in my case and do other work. I like to wear glasses but not all the time. I really like your funky reading glasses. I want to buy such type of glasses and change the look. Nikki, I love your new eyeglasses. The frame you choose is so vibrant. Thank you for sharing your story of carrying a magnifying glass with you. That put a smile on my face. Thank you again for the giggle. Growing up I always had glasses, now that I’m an adult, kind of still young, I started going out to more and my fashion started to become more important. After improving my wardrobe, I need to upgrade my accessories, specially my glasses. Luckily, my optometrist, Pinnacle Eye Group in Lamberville, MI 48144, had nice variety for me to choose. Nothing too loud, something that will look good for everyday wear, but still matches for nicer events.